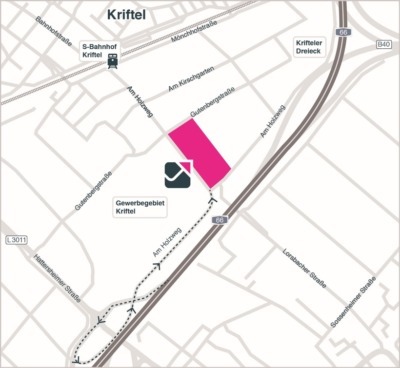 The industrial area of the town of Kriftel is centrally located in the Frankfurt Rhine-Main Metropolitan Region. 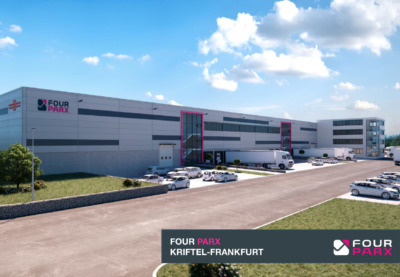 This is where we developed a new logistics and commercial park with direct access to the highway network around Frankfurt. Flexible usability, divisibility, affordable operating costs and sustainability took the center stage with this project. 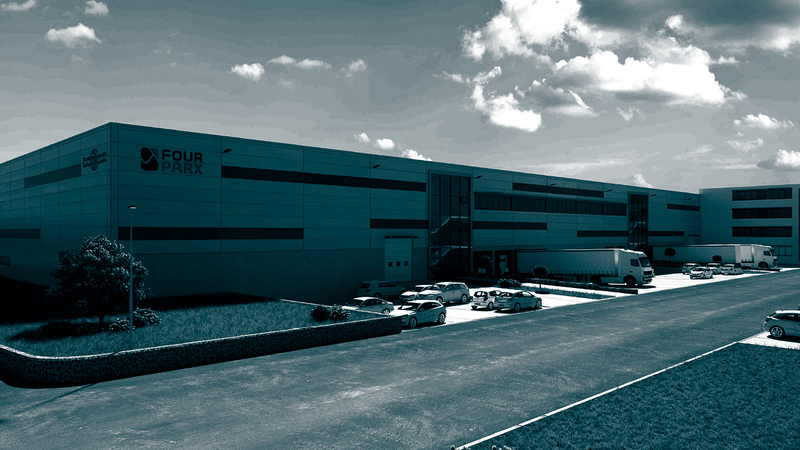 The project can be further divided into several rental areas with state-of-the-art technology and equipment. The gallery levels are 7–12 m deep and can, on the lessee’s request, be expanded into storage, service or office areas. The high level of building insulation keeps temperatures low in the summer and saves heating costs during winter. Construction took place in accordance with the DGNB gold standard (German Sustainable Building Council). The investor is FOURPARX. Direct view of the BAB 66 highway. The centers of Frankfurt and Wiesbaden are both only 20 km away and can be reached within 10 minutes by car. The distance to the “Krifteler Dreieck” is only 1 km, whilst it is only 7 minutes by car (ca. 10 km) to Frankfurt Airport. 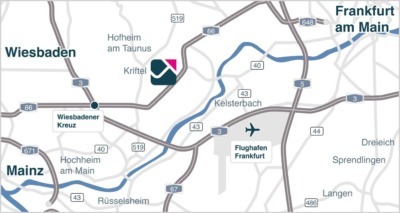 You can reach the Kriftel S-Bahn station within 5 minutes by foot, through which the S 2 between Niedernhausen and Frankfurt regularly passes.